how the workshop components relate to the cross cutting concepts. 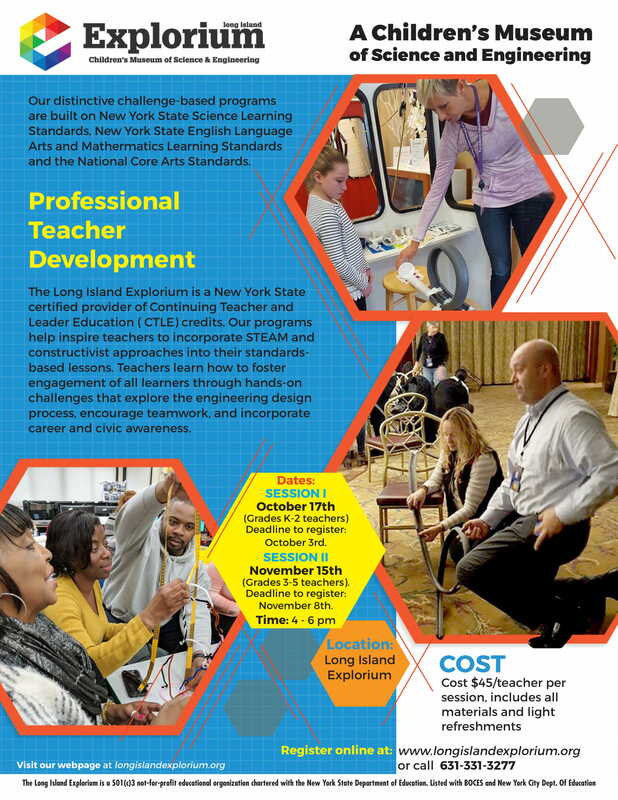 Participants will experience supporting techniques, tips for engaging students, suggestions, demonstrations and practice in how to lead meaningful conversation around STEM topics and ideas about how to integrate the workshop with ELA, math, social studies and other curricular topics. Workshop documentation, a list of Next Generation Science Standards, lesson plan, materials list, additional supporting documents relevant to the workshop, a power point to support instruction, Exit Slips to support evidence based writing, and take home questions to engage caregivers. Register now for our upcoming 2018 workshops. Dec 5th, 4pm. Deadline to register: Nov 28th, 2018. Cost $45 per workshop per person. Space is limited. Registration is on a first come, first served basis.